If you’re having difficulty choosing between Lexus vs. Mercedes-Benz for your next SUV, we understand — both are well-known luxury car brands. However, when comparing the Lexus RX vs. Mercedes-Benz GLC, the 2018 GLC offers Chicago drivers higher efficiency, a smoother ride, and a larger variety of features than the 2018 Lexus RX. Furthermore, even with all the additional features, the Mercedes-Benz is still the more affordable option between the two. We compared the 2018 Lexus RX vs. Mercedes-Benz GLC base models, the RX 350 and GLC 300, below. 2018 Lexus RX: The Lexus RX has a standard 3.5L V6 engine that gets 295 hp and 267 lb-ft of torque. The RX also comes equipped with a 8-speed automatic and gets 20 mpg city and 27 mph highway. 2018 Mercedes-Benz GLC: The GLC comes standard with a 2.0L turbo 4-cylinder engine that delivers 241 hp and 273 lb-ft of torque. While the Mercedes-Benz GLC isn’t as powerful as the Lexus RX, it demonstrates other strengths. The GLC has a more responsive and smooth driving experience with its 9-speed automatic transmission. 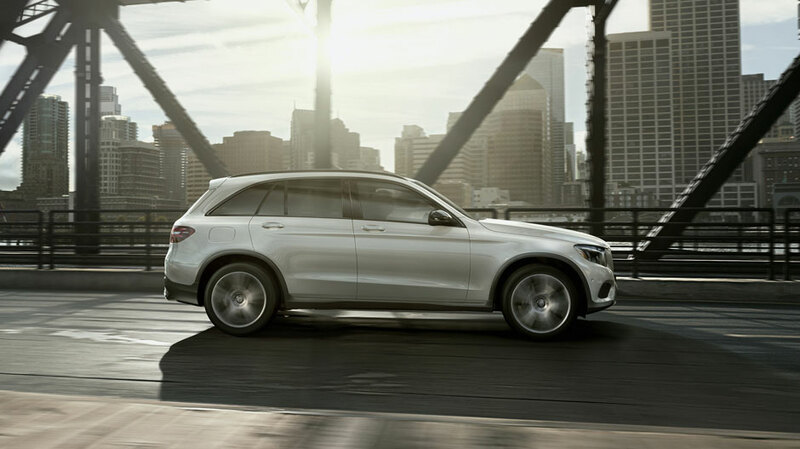 Additionally, the GLC is more fuel efficient, earning 22 mpg city and 28 mpg highway. While the 2018 Lexus RX and 2018 Mercedes-Benz GLC offer many of the same luxury features, including central display, telematics, and optional heated and cooled front seats, the GLC provides some features that the RX doesn’t have available. Some of these features include ATTENTION ASSIST®, genuine wood trim, front power memory seats, armrest storage, and a front power headrest. When you compare the Lexus RX vs. Mercedes-Benz GLC, it’s apparent that both vehicles are comparable in regards to utility. Both the GLC and RX can tow up to 3,500 pounds. Additionally, the RX offers 18.4 cubic feet of cargo space, and the GLC offers 19.4 cubic feet of cargo space. Although the two vehicles are on par with each other in this category, the GLC is significantly less expensive, giving Cook County drivers similar dimensions at a more affordable rate. Explore the New GLC at Mercedes-Benz of Chicago! Want to experience the difference of the 2018 Mercedes-Benz GLC 300 in person? 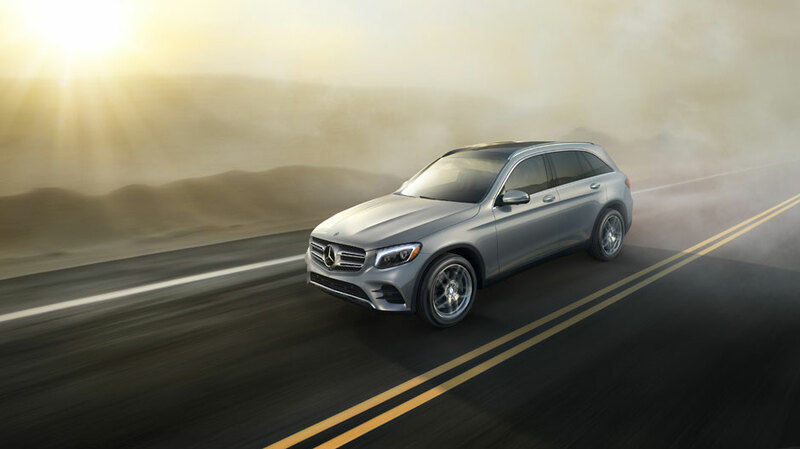 Schedule a test drive at Mercedes-Benz of Chicago, and get behind the wheel of one of our GLC models. Don’t forget to browse our current lease and finance specials for potential offers a new GLC.